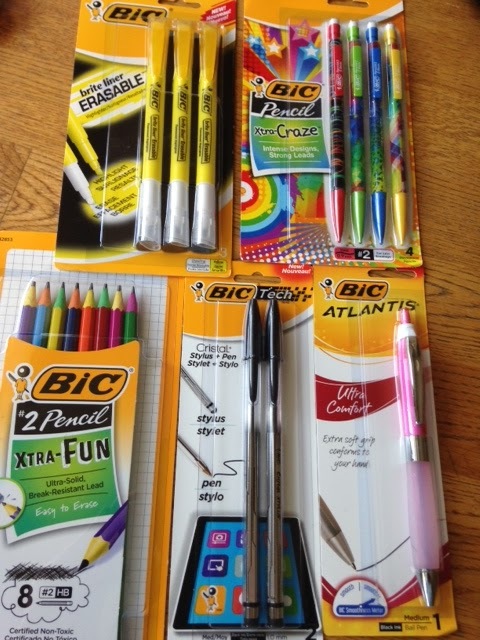 I’m SO excited to be partnering with BIC on a Back-To-School giveaway today! 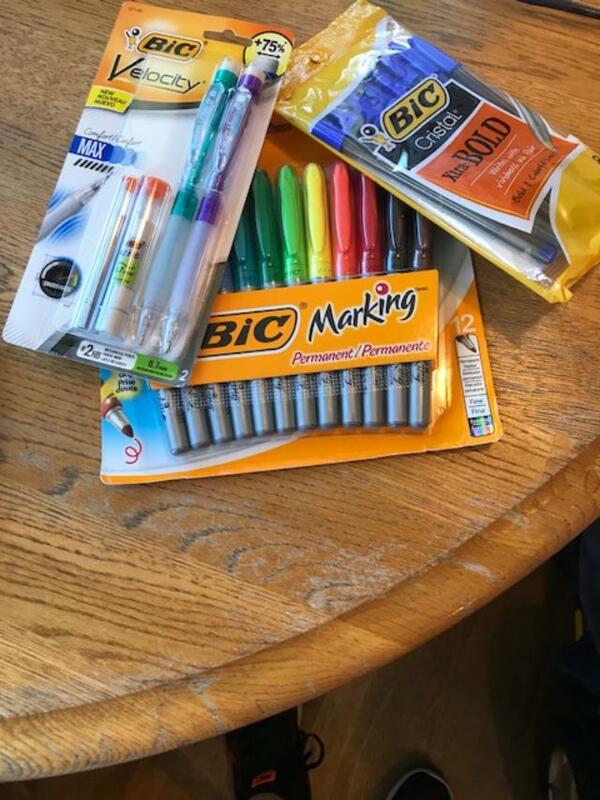 For the fourth year in a row, I immediately fell in love with everything BIC has to offer (they are the leader in school and office supplies, after all), including pens and pencils, markers, sticky notes and erasers. BIC is continuing its Fight For Your Right campaign this year, which seeks to educate and energize parents, teachers and students about the importance of lifelong writing. During 2015, you’re invited to visit BIC Fight For Your Write and sign the online petition. 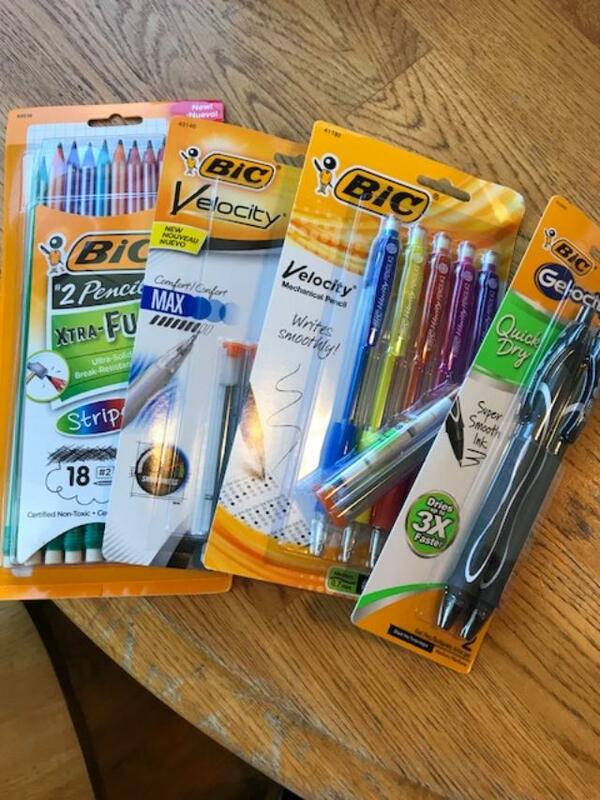 For each e-signature collected, BIC will donate pens and pencils to students in need across the country. *BIC Xtra-Fun #2 Pencil: The only #2 pencil with two-toned color barrels. 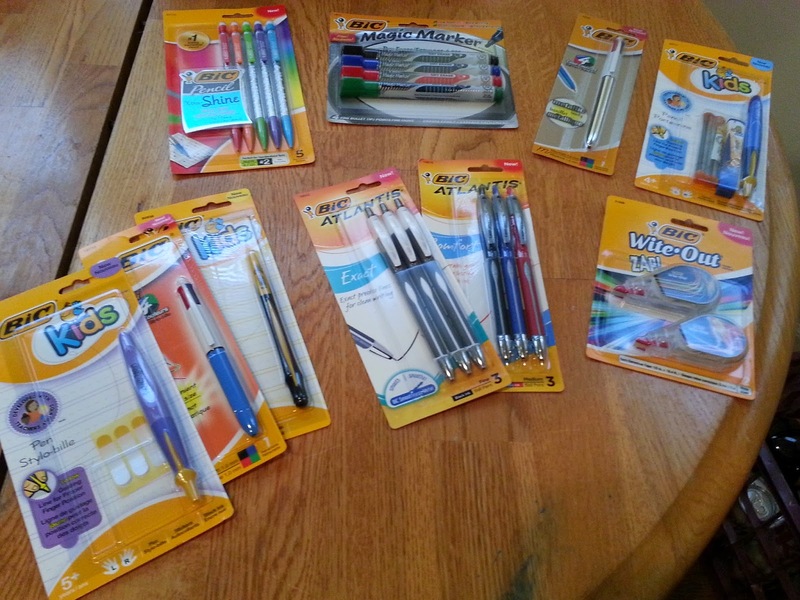 The product features ultra-solid, break resistant lead and is easy to erase with its latex-free erasers. 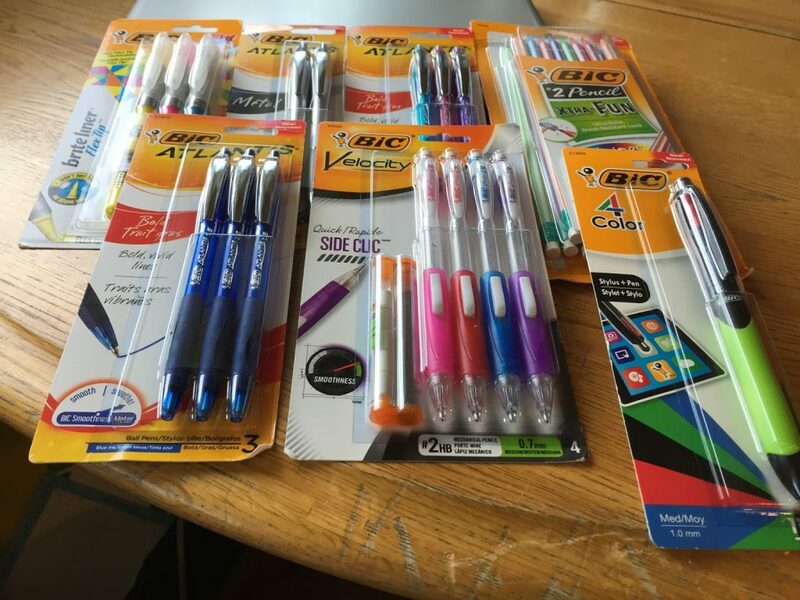 *BIC Xtra-Craze Mechanical Pencil: The BIC Mechanical Pencil is celebrating its 30th birthday in style with new, fun, custom-designed patterns that are sure to make any student stand out this school year. 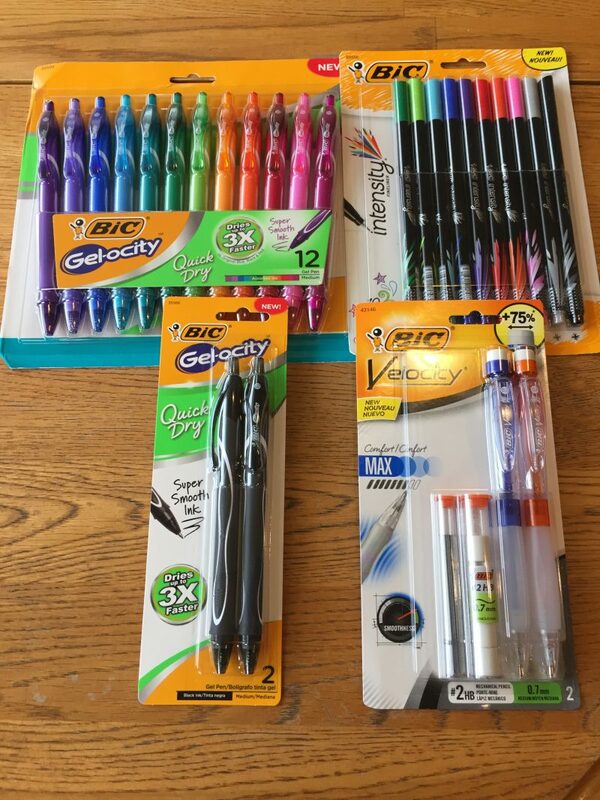 Whether taking a test with its strong, #2 lead or simply doodling, this pencil is perfect for any type of writing! 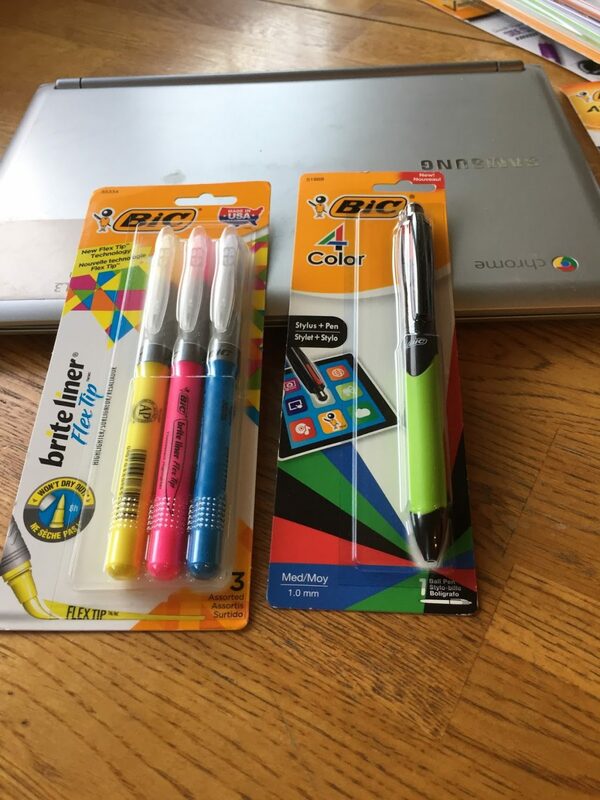 *BIC Brite Liner Erasable Highighter: The BIC Brite Liner Erasable Highlighter features a highlighter on one end and an erasing ink tip on the other end for fast and easy edits. The florescent yellow ink makes bold, vivid highlights; perfect for the diligent, note-taking student. *BIC Cristal Stylus: The BIC Cristal Stylus gives you the best of both worlds! One end features a lightweight stylus that easily glides across tablet and smartphone screens, providing fingerprint-free precision and control. The other end is an iconic BIC Cristal pen! 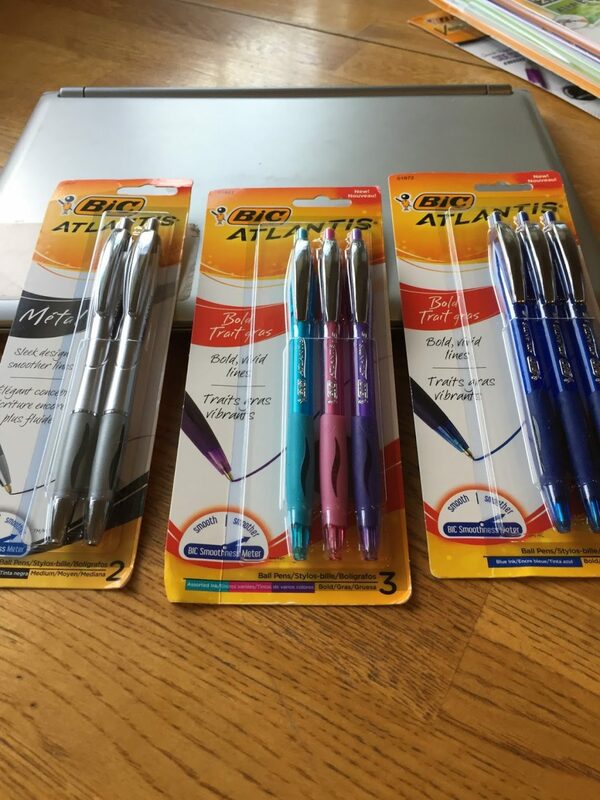 *BIC Atlantis Ultra Comfort Pen: New to the popular BIC Atlantis pen franchise for 2015 is the BIC Atlantis Ultra Comfort Pen, which features BIC’s exclusive ink system for even smoother ink compared to BIC’s classic ink system. Students will find their ideas flowing freely with this pen, which also includes an extra soft silicone grip that conforms to your hand for the ultimate writing experience. 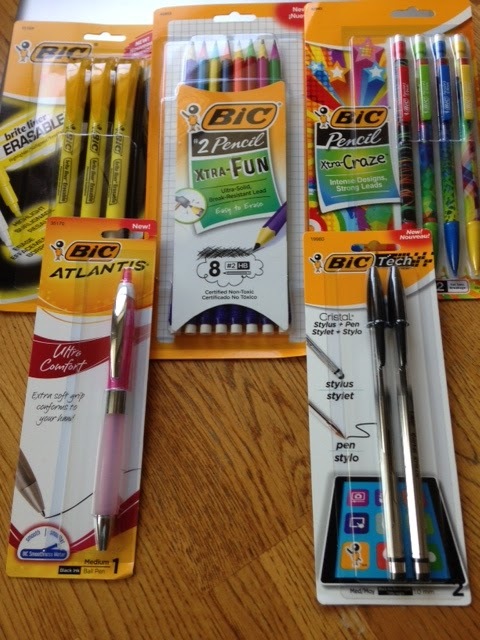 You can also Tweet about the giveaway — just make sure to mention @melissablake + #BICBackToSchool in your Tweet! 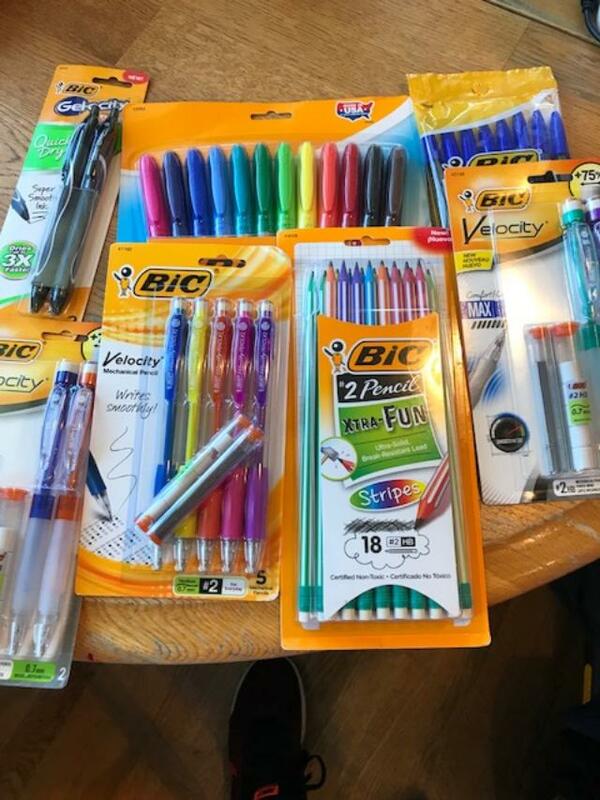 For the third year in a row, I’m so excited to be partnering with BIC on a Back-To-School giveaway! 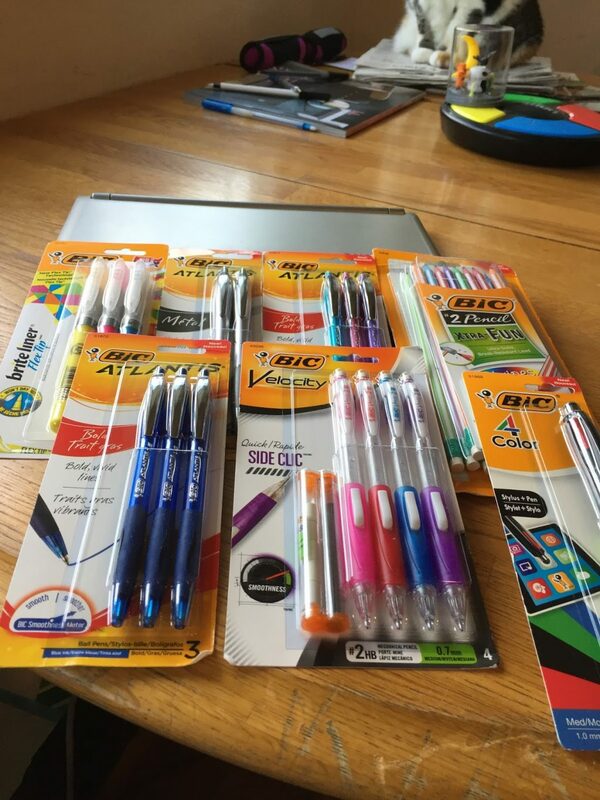 As one of the leaders in all things school and office, BIC has it all — from pens and pencils to markers to sticky notes to erasers — and, as you’ll see me explain in the video, their new fall campaign is near and dear to my heart. In collaboration with leading educators, the Fight For Your Write campaign seeks to educate and energize parents, teachers and students about the importance of lifelong writing. 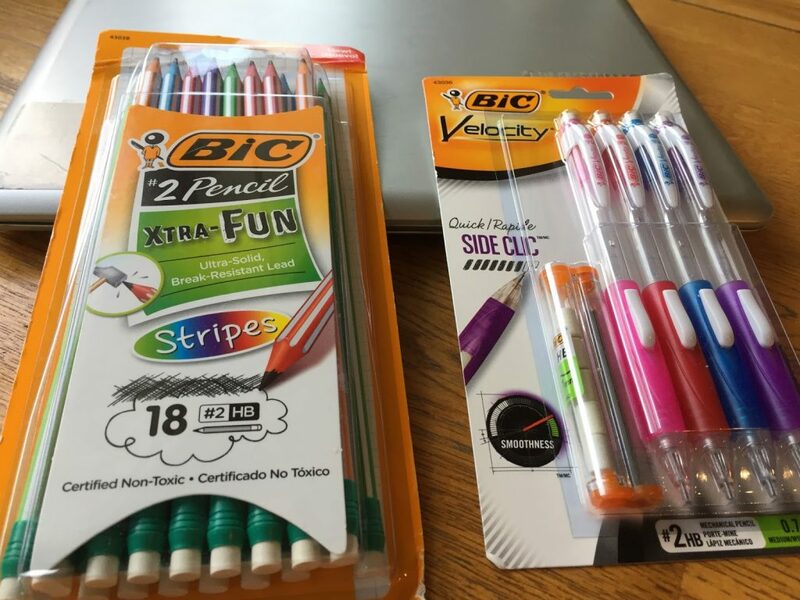 *BIC Kids Mechanical Pencil — includes an eraser and lead refill with six leads. *BIC Kids Pen — includes stickers for personalization. *BIC Kids Stylus for small hands that helps children navigate tablets in the classroom or at home. 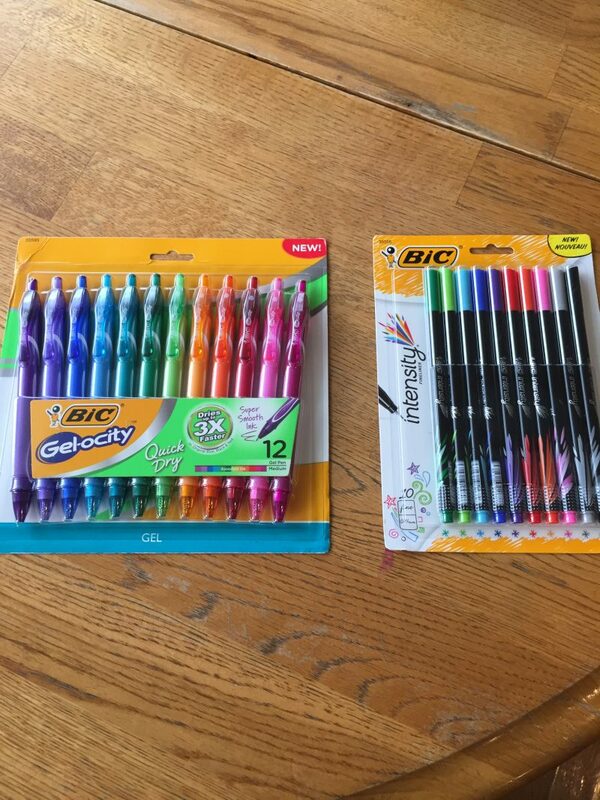 *The new BIC 4-Color Metallic — five vibrant, metallic barrel colors: silver, turquoise, pink, lime green and purple. *BIC 4-Color Mini — provides the same fun appeal of the popular 4-Color, but in a convenient mini size—perfect for school or on-the-go. *BIC Atlantis Comfort — features BIC’s exclusive ink system for long-lasting smoothness. 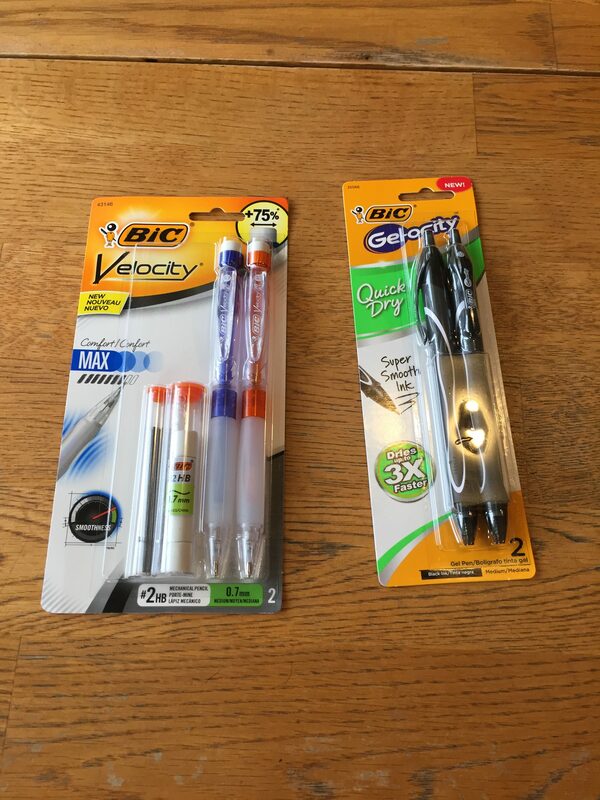 *BIC Atlantis Exact — features a fine point for exact, precise lines and clean writing. *BIC Mechanical Pencil Xtra Shine — features a fun, shiny, holographic design. *BIC Magic Marker Brand Dry Erase Markers — offers a consistent flow of vivid, bold colors and low odor in one marker. *BIC Wite-Out® brand Zap — convenience of correction tape in trendy neon designs! It also comes in a compact size for easy storage.